WordPress has become one of the most influential blogging tool and more to that a content management system based on PHP and MySQL as well. It’s currently the most in style blogging system in the Internet and various bloggers visit the site constantly. 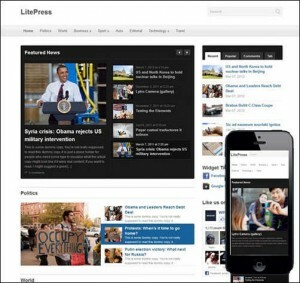 WordPress offers a variety of themes for its tons of avid users, one of which is the news theme. Its news theme is the most admired theme as of the moment basically because the design clearly gives a sufficient amount of knowledge without sacrificing its sophisticated structure and to top all that, its layout makes it easier for online readers to absorb. Because news theme has become in demand these days, this article will tackle the top 10 WordPress news themes for all of you bloggers out there who plan to have their page appearance changed but still can’t decide which of the news themes to pick and choose. As you go over each item, take a look at some new features offered by that specific theme and why it is recommended. You’ll also learn why these news themes belong to the top 10. So let’s get down to business. If you’re looking for a page that offers unlimited home layout then this layout suits you. 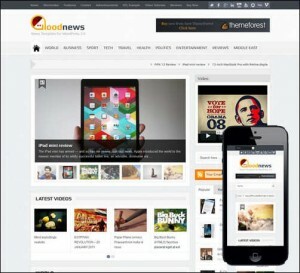 Goodnews-Responsive WordPress has a clean and modern design with unlimited color options and is 3.2.4 ready. This type of theme works in all major browsers. And you aren’t seeing anything yet, it is a 14 footer layout with unlimited sidebars and its video documentation is nice and easy. This theme will give you a thorough help file along with bonus features such as unlimited color schemes and a responsive layout. The best thing about this layout is that it’s easy to customize and it’s fully featured. Additional features include video support in portfolio and blog and has demo content included. WordPress-Galaxy is translation ready, amazing right? That’s why this theme goes on our top 9. 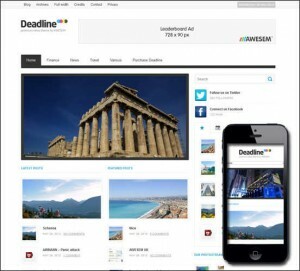 Deadline is a user-friendly theme for those bloggers who’s just a beginner in blogging. 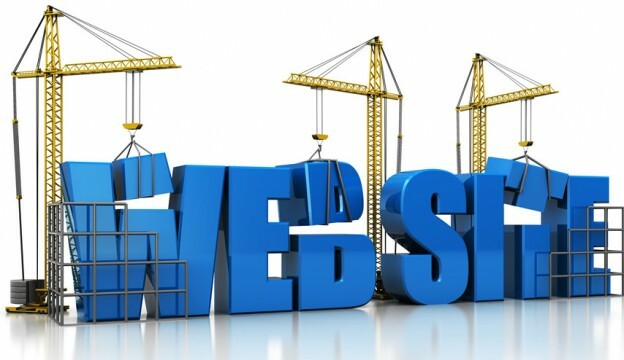 It’s designed to be customizable to precise requirements and the great thing is that you’re the one who’s in control of how you want your website to look like. The top 7 goes to the resizable news theme. 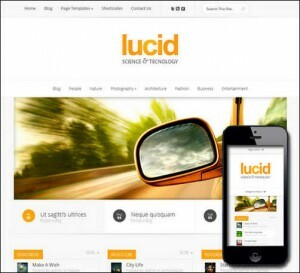 It is the first responsive theme designed by the talented theme junkies. The layout is very trendy especially with the sub menu moving to the left as the viewport gets smaller, how cool is that? Additional features include WordPress compatible 3.4, it has advanced control panel, is search engine optimized and has a lifetime support. 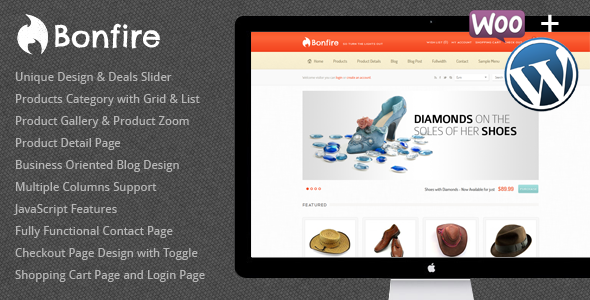 If you are a big theme junkie this theme is definitely fit for you. All the hip and stylish will surely love this news theme. The layout looks simple but it shows a very trendy feel without sacrificing the numerous contents presented. The unique feature on this theme is that, it has a zoom framework, then it also has this video integration, featured slider, custom widgets and again it’s also a responsive layout. 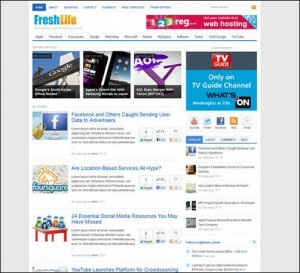 Fresh life news theme is also a trendy theme only that the page provides a hectic and busy front-page plus some highly significant buttons incorporated into the article lists. The theme is trendy but not totally user-friendly; this is not a good theme to pick if you’re a beginner in the blogging world. LitePress, on the other hand, is a very basic design compared to the previous themes that have already been tackled. But what makes this theme very prevailing enough to make it to the top 10 WordPress news theme is that it is also one of those many responsive themes already mentioned and it is a reliable theme to get information in to. More features include, WPZoom framework, featured slideshow featured category widget and it’s easy to customize as well. Owning the top three slot is the Lucid theme. Lucid is a contemporary magazine theme that is truly excellent in showing tons of content on your page but still maintaining a simple and sophisticated design. It is a structured, clean theme that gives you so much pleasure while reading it. The amazing thing about this theme is that, it is fully responsive which means it will adapt to phones and tablets for a better experience in surfing the net. Magnovous theme on the other hand is the iPad-friendly theme. 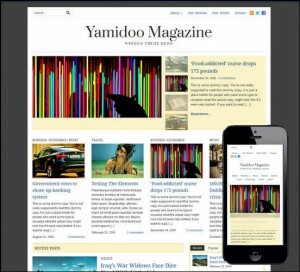 It is a news and magazine theme with rating features. 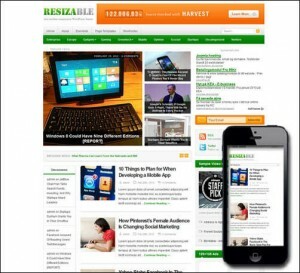 It is also a responsive theme and it is designed for you to change colors scheme and backgrounds in an easy way. Magnovous theme has a clean layout which is a good thing so that readers can go through the layout and gather the information they need with no trouble. A blog is a lot easier for newbies when all the information they need is presented easily. 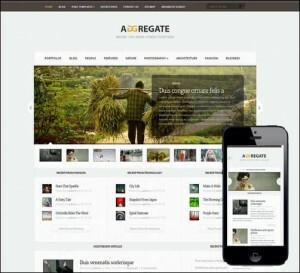 And the top spot goes to the aggregate responsive newsletter theme. If a feature-rich Magazine-style theme is want you want for your blog then this theme is exactly the right one for you. This theme comes with a lot of content and widget-ready areas, and manages to display everything in an organized and easy to read layout. There are many new handy widgets added as well as new advertisement areas, sounds great right? So if you want an organized layout with a lot of new handy features plus a layout that’s user-friendly and packed with content then this theme is the one you should install for your blog. So that’s about it, the top 10 WordPress news themes that are appropriate for all those budding and professional bloggers in the online world. Readers will soon be bloggers after reading this post or at least have a clearer perspective as to what kind of theme they would choose for their blog.